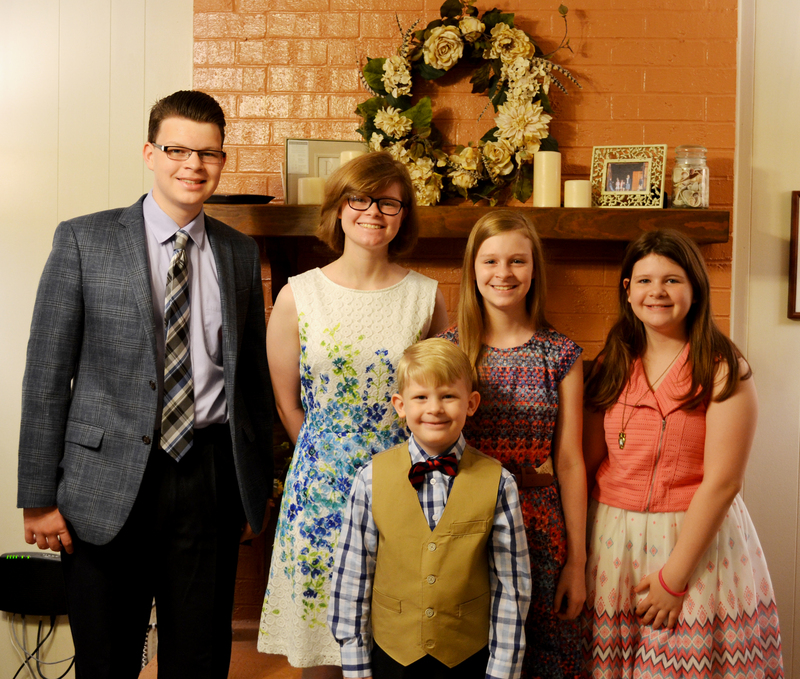 I realize I’m a bit late posting this, but here is a photo from our Easter Sunday. I try to take one every year for a keepsake. I enjoy looking back and comparing them over the years. Kids sure do grow up quickly! We smile because He lives! The trends of the world have turned Easter into a big show at most churches. I pray the Lord will help me to remember it’s about Him. It’s not about crowds, clothes, candy, or cantatas, but Christ alone. Very nice picture! Beautiful children! They grow so quickly! I also agree about the world making Easter a spectacle in most churches. In a world were churches are having the Easter bunny in, we really scaled ours back this year. We are sick of churches getting caught up in every worldly thing that goes on. We don’t want to be the “norm”. Have a good day! Kids grow up too fast, don’t they? There’ll come a time when they’ll be embarrassed to pose for a photo like this. 😉 Enjoy them while you can and take as much pictures as you want to document their growing up years. 🙂 Oh, and they all give you a big smile! Beautiful. They do grow up quickly. Bittersweet. Thank you for the kind comment. Thank is a great picture, Valerie! Your kiddos are getting so big! I was able to get my family together for an Easter photo, but my kids aren’t very cooperative about it any more. Yes, they are! Thank you for the comment, Paula. I love seeing your blog posts. It’s always good to hear from you.